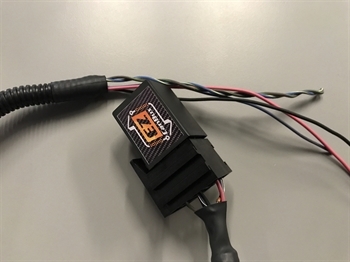 This module will output the Alternator Request signal to the E38 ECU. This signal was opriginally sent from the GM BCM and would tell the ECU what voltage to command the alternator to. Without a BCM your ECU will output a default voltage message thats normally around 13.2 volts. Once you install our module your ECU will command the alternator to around 14 volts.